New Wood And Steel Garage Doors in Torrance, CA. New Wood Garage Door in Torrance, Ca. If your garage door is worn out and needs to be replaced we offer wood, aluminum and steel garage doors in sectional and one piece. If the opening and closing of the garage door is difficult and the operation is adding pressure to the garage door opener, it might be time to consider replacing your old garage door. 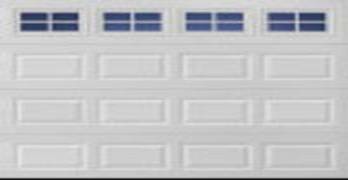 Replacement of a garage door might be a choice of color, cost and design and this is why we are the number of seller of new garage doors in the south bay area because we offer many manufactures garage doors we have discounted sale prices and we give quantity price brakes on all new garage doors. Give us a call for a free phone quote. to see if our prices meet your budget. We use galvanized springs, ball bearings roller wheels, that offer trouble free performance for many years we use the best cables and hinges on all our new sectional garage doors. Replace my old garage door, Install a new white steel sectional garage door with upgraded wheels and springs.